A course Bell designed for University of Pennsylvania’s Annenberg School for Communication on how cities and their leadership communicate with the public. My goal is to properly equip my students with the resources and the connections so they can get out in the real world and not miss a beat. 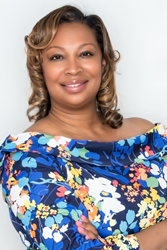 Bell has had an extensive career spanning more than two decades as an accomplished political and communications strategist, brand builder, problem solver and spokeswoman. Bell has been at the forefront of significant issues, policies and strategies that impact various constituencies on a local, national and international level from mayoral administrations of Mayor Michael Nutter (Philadelphia, PA), Mayor Cory Booker (Newark, NJ), and Mayor Michael Bloomberg (New York, NY) and having served as Senior Advisor for President Barack Obama’s Reelection efforts in 2012 for Pennsylvania. Furthermore, Bell brings her expertise and years of experience serving at various levels of government to University of Pennsylvania's Annenberg School for Communication. Last Spring, Bell designed this course with current affairs in mind, creating the curriculum to specifically target real-time issues facing urban cities such as the Black Lives Matter Movement, “Fake News,” and Crises Communications. Additionally, the course focused on challenges municipal leaders face when communicating with citizens in the age of social media and the 24/7 cable news. In Bell’s class last Spring, communications majors were challenged to create communications for various American cities, teaching students how to address real world problems. “My goal is to properly equip my students with the resources and the connections so they can get out in the real world and not miss a beat,” Bell says. “In order to succeed, they have to be able to connect theory to practice.” As a final project, Bell tasked the students to create a communications plan that addressed a particular problem in a particular city, with the end goal of submitting the completed plan to the city’s communications leadership. Students created an in-depth communications plan, which identified important stakeholders, defined communication goals, developed recommendations for various types of media and events, and listed ways for measuring the results. Furthermore, each student presented their plan to the class in April of 2017. The students did groundbreaking work by creating Communications plans that focused on issues ranging from the Orlando, F.L. nightclub shooting, the water crisis in Flint, MI, immigration in Cambridge, M.A., to homelessness in Houston, T.X. and much more. This Spring’18, Bell has redesigned the course to include additional high-profile guest lecturers. These guests will add value by reinforcing Bell’s Spring’18 curriculum objectives to define the role of urban communication; connect urban communications theories with real world examples and practice; explore examples of Cities as a context, a medium and how Cities respond and create content. Throughout the course, Bell will continue to tackle current hot button issues facing urban cities and how best to communicate with through social media, traditional media outlets, and through community engagement.